We know how many questions you must have right now about your personal injury or workers' comp case, so we compiled this list of the questions we hear the most. If you have a question that is not answered here, please call our Columbia law office to speak with Kenneth Berger. Why is the black box important after a truck accident? These days, almost every commercial semi-truck is equipped with a “black box” or event data recorder device, though they are not required by law. Much like the black box in an aircraft, the black box is there to record information about the truck’s status. Some models record continuously and may save data for days or more; others will only keep information for a few minutes before a crash event is detected. The exact data captured can also depend on the type of device, but it is tied to the truck’s onboard engine computer system and may capture the truck’s speed, travel time, whether the brakes were used, whether the steering wheel has been turned, tire pressure, engine oil, and more. When a commercial truck is involved in a traffic accident, the data that the black box provides can be key in determining what caused or contributed to the crash. However, getting ahold of the data can be difficult without legal help, because the trucking company itself possesses the data and is under no obligation to provide it to an accident victim. The trucking company may resist doing so without being legally compelled since it could help prove that the driver was responsible for the crash. For example, if the driver was speeding, lost control, or failed to brake at a stop, the chances are high that the black box captured this information. With black box data, physical evidence, eyewitness testimony, and the other facts of the case, the black box data can show that the company is responsible for the accident. This could result in the company being held responsible for compensating the victims of the crash for their injuries, vehicle repair or replacement, and other expenses related to the accident. If you have been involved in an accident caused by semi-truck, the Law Office of Kenneth E. Berger is here to help you today. Our experienced legal team understands the legal challenges of a serious commercial truck crash, and we will stand up for your right to fair compensation in a court of law. To find out how we can be of service to you and your family after an accident, reach out to us by telephone at (803) 790-2800, use our online contact form, or click the live chat box on this page right now for a free consultation. Our offices are conveniently located in Columbia, and we proudly serve communities in the Sumter, Florence, and Myrtle Beach areas, as well as the entire state of South Carolina. SC Trucking Accidents: How Important Is the Accident Report? How do speeding semi-trucks cause accidents? Semi-trucks and other large commercial vehicles are massive and powerful machines. On many stretches of highway in South Carolina, the speed limit for these huge vehicles is the same as it is for much smaller passenger vehicles: 70 miles per hour. But truckers are often pushed for time on tight deadlines and may be tempted to speed, and the consequences of a speeding truck accident can be deadly for anyone or anything that gets in the way. Here’s what you should know. Increased stopping distance. The increase in mass means that a truck going the same speed as a passenger vehicle will take much longer to stop, increasing the chances of an accident. Violating the speed limit by going faster means that stops will take even longer, especially in emergencies. Cargo shifting. When a truck exceeds safe speeds, the speed and vibration can cause the weight of the cargo to shift, which can unbalance the truck. A shifting load can cause the trailer to swing wildly behind the cab, or it can cause the entire truck to tip over or roll on its side. Difficulty turning. Trucks aren’t very maneuverable and need to slow down to safely negotiate many curves that wouldn’t be a concern to a passenger vehicle. If the driver is speeding, he or she may overshoot or overcorrect for the turn. When a truck driver violates the speed limit and causes an accident, it can cause shocking damage to anything in the way, including vehicles, pedestrians, and any structures that it hits. 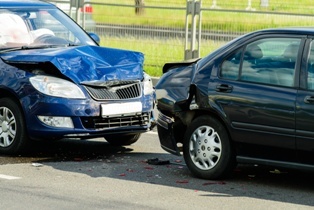 Victims of the accident may be able to pursue a personal injury lawsuit against the driver or the trucking company to seek compensation for any medical expenses related to the crash, repair or replacement of a vehicle or any personal property lost, and more. A personal injury attorney with experience handling accidents caused by commercial vehicles can help victims with the legal recovery process after a crash, but it’s important to act quickly after the accident. Seeking legal help early means that your attorney can start an investigation into the accident, including examining the driving and safety records of the trucking company and the driver, data from the truck’s computers, and more. Much of the evidence that’s needed is controlled by the trucking company, though, and the company is only legally obligated to keep those records for a short period of time, so starting the investigative process early can be an important part of a successful lawsuit. 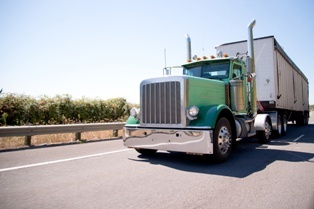 If you or someone you love has been hurt by a speeding semi-truck, contact the Law Office of Kenneth E. Berger today. Our experienced legal team understands that you are hurting both physically and financially after your accident, and we want to help you and your family get the justice that you deserve so that you can focus on the healing process. Reach out to us by phone, email, or click the live chat box on this page to arrange a free and confidential consultation today. How can unsecured cargo cause a truck crash? There are millions of commercial trucks, semis, and other cargo vehicles on the roads and highways in South Carolina, carrying millions of dollars of freight every day. These industrial-grade vehicles carrying goods to and from businesses and consumers are often just a part of the background of daily life on the road—right up until a large truck causes a tragic accident with a passenger car due to unsecured or improperly loaded cargo. Unsecured or poorly secured cargo. All cargo needs to be secured in the trailer or back of the vehicle such that it cannot move, shift, or fall out of the back. Straps, webbing, and other hardware should be used in the interior to make sure that no cargo can move or fall out. The rear doors should also be secured so that if something does shift and fall, it doesn’t come toppling out of the back and strike another vehicle or cause an obstacle on the road. Unbalanced cargo. 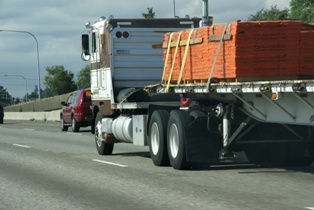 Cargo must be loaded properly for balance, especially in large tractor-trailers or semi-trucks. If part of an 80,000-pound load shifts to the left or right, the entire vehicle can fall on its side and crush anything—or anyone—caught underneath. Ultimately, the driver is usually the one responsible for ensuring the safety of his or her cargo and faces legal liability if it causes an accident. The person or people who loaded the cargo, the trucking company, and even the owner of the freight itself may also share in the responsibility if an accident happens. Truck accident claims are legally complex due to many state and federal rules and regulations regarding commercial vehicles, as well as the number of insurers and other parties that may be involved. Multiple insurance claims or lawsuits may be necessary for victims to receive complete financial recovery. An attorney who is familiar with the industry can help you pursue every party responsible for your injuries so that you can receive the full value of your claim, including compensation for your hospital bills, medications, physical therapy, and other long-term care needs, as well as vehicle repair or replacement and other expenses related to the crash. If you have been hurt in an accident caused by unsecured truck cargo in South Carolina, the Law Office of Kenneth E. Berger is here to help you and your family with the recovery process today. Contact us by phone at (803) 790-2800, use our online contact form to send an email, or use the live chat box on this page right now to get started. How do semi-truck tire problems cause car accidents? Semi-trucks, tractor-trailers, tankers, and other large vehicles are designed to take heavy punishment from frequent use, but they require constant maintenance to stay in operating condition. 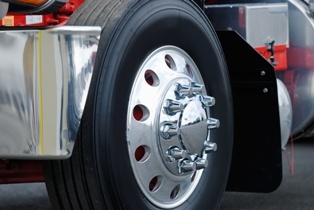 An issue with even a single tire can pose a real danger both to the truck and to other cars on the road, so it’s important that the operator of the truck follows all the rules, regulations, and good practices that the transportation industry has in place in order to drive safely and prevent accidents. The tires of an 18-wheeler must be able to support up to 80,000 pounds or more of weight, be able to withstand the forces to move that weight, and still be able to bring the entire vehicle to a stop safely, too. When a tire capable of meeting these requirements fails, it often blows out at highway speed by either exploding or rupturing, shredding the tire and leaving pieces of rubber across the road. These tire fragments can strike nearby cars and cause them to lose control, or cause drivers to veer suddenly to avoid striking pieces of tread, causing an accident. Improper maintenance. Tires need to be inflated to the correct pressure, meet minimum tread depth standards, and have a similar amount of wear. If a truck driver or trucking company doesn’t inspect and replace worn tires regularly, the tire can fail under even a light load. Bad loading practices. Trailers and cargo must be balanced properly front to back and left to right and not go over the maximum safe load capacity of the tires. Defective products. Like many other products, sometimes defective materials are released onto the market. It’s up to the trucking company or driver to stay current with all safety notices and stop using any tire that is under a recall. There are both state and federal laws that dictate how often maintenance inspections, including tires, must be performed on trucks. Failure to perform these inspections or to document them appropriately may expose the truck driver, the trucking company, or the cargo owner to liability for any damage to other vehicles on the road. 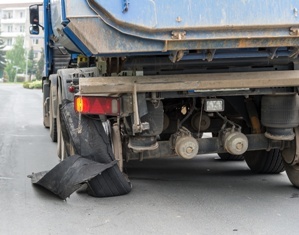 If you have been in an accident caused by a commercial truck tire blowout, a personal injury attorney can help you seek financial compensation for your injuries, the damage to your vehicle, and other expenses related to the incident. At the Law Office of Kenneth E. Berger, we are here to help you after your accident in any way that we can. We work hard to represent innocent people who have been injured on the road in South Carolina, and we want to protect your rights in a court of law. Let us worry about the legal business of insurance negotiations and court cases for you so that you can focus on recovering from your injuries. If you have any questions or would like to find out more about how we can work for you, call us by phone today, or click the live chat box on this page. Our offices are conveniently located in Columbia and we are proud to serve communities in the Sumter, Florence, and Myrtle Beach areas, as well as the entire state of South Carolina. How can bad semi-truck brakes cause an accident in South Carolina? Those who operate semi-trucks, tractor-trailers, tankers, and other commercial vehicles have a responsibility to make sure that their vehicles are maintained appropriately for use on public roads. Maintaining an operating braking system is of particular importance for an 18-wheel vehicle that’s capable of pulling 40 tons of cargo at highway speeds. Brake failure on a fully loaded tractor-trailer can cause an accident in the blink of an eye, causing terrible damage to any vehicles in the truck’s path. Lack of maintenance. 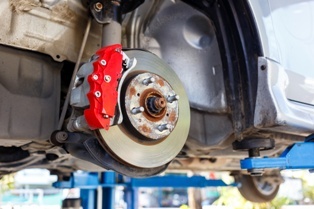 Misaligned brake linings, sticky calipers, contamination by oil, leaky fluid lines, and other mechanical issues can build up fast and lead to a failure under load. Routine inspection and maintenance on a truck is a must, both for safety’s sake and by law. Improper maintenance. A technician or driver who isn’t trained to handle large truck brake systems should not be performing any installation or maintenance. Trained technicians may also be negligent in their duties by not taking the proper steps to fix a problem the right way. Bad driver training. The license to operate a commercial vehicle is supposed to include driver training that includes both road handling and regular maintenance inspections. A driver who negligently or recklessly operates a truck outside of professional standards or fails to inspect or report a brake problem may be held responsible if the brake system fails. If a commercial truck brake failure causes an accident with your vehicle, it’s important to contact a personal injury attorney with experience handling truck accidents. The first step often involves sending a letter of spoliation to the trucking company to ensure that evidence isn’t lost or destroyed. The trucker’s mileage logs, vehicle maintenance records, and other documents that are important to your case are all controlled by the company, so obtaining this information quickly is very important. Once the documents and other evidence have been gathered, your attorney can fully investigate your claim and present your legal options to move forward with your claim and seek compensation for your injuries and other accident-related expenses. If you have been injured in a serious accident caused by a commercial truck, you have our deepest sympathies. The attorneys at the Law Office of Kenneth E. Berger are here so that you and your family can get the help that you deserve. We proudly serve those from the Florence, Sumter, and Myrtle Beach areas, as well as the entire state of South Carolina, and we work hard to keep all of the roads and highways of our great state safe by holding negligent drivers responsible for their actions. To learn more about how we can help you after your semi accident, reach out to us by phone today, use our online contact form to send an email, or click the live chat box on this page right now. 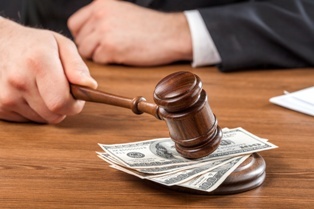 What are punitive damages and how are they determined? In any personal injury lawsuit in civil court, there are three types of potential damage awards available. Economic damages are compensation for the actual costs related to the accident and are relatively easy to quantify by adding up the costs of bills and other expenses. Non-economic damages are compensation for other losses, such as pain and suffering and other less-easily defined losses. Together, these are called compensatory damages. The third type of damage award is for punitive damages. It is a topic that deserves discussion apart from the other types of damages due to the special circumstances required to be awarded this type of compensation, especially when it comes to punitive damages in a DUI case. For punitive damages to be considered in a South Carolina court, they must be specifically requested in the initial complaint, and victims must provide “clear and convincing” evidence that reckless behavior was involved. Reckless behavior means that the responsible party acted with a willful disregard for the safety of others. 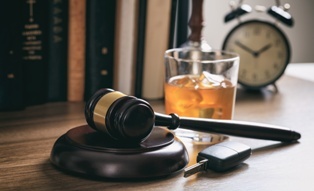 Getting behind the wheel while intoxicated is a prime example of reckless behavior for which punitive damages may be justified. Punitive damages are so-named because they are intended to not only punish the perpetrator financially for their bad actions, but also to provide an example to society as a whole to discourage similar behavior in others in the future. Punitive damages are not intended as the primary means of compensation, though they are a financial award; instead, they are an additional amount that goes to the victim on top of any compensatory damages already awarded. There was an intent to cause harm. A conviction or guilty plea for a felony was involved. The person was “substantially impaired” by drug or alcohol use at the time of the incident. With a claim for punitive damages included in a lawsuit, it is likely that the trial will be split into two parts. The first half will address claims for compensatory damages. If that case is successful, the second half will address claims for punitive damages, and the victim will have to provide stronger evidence to support his or her case for the additional award. Making a case for punitive damages is a complex legal process, and a successful claim can be nearly impossible without the assistance of an attorney who is well-versed in this special area of civil case law. Seeking help from an experienced personal injury attorney can ensure that your legal rights are protected and help you maximize your potential compensation after an accident. The attorneys at the Law Office of Kenneth E. Berger are here to represent victims of DUI crashes and their families, providing legal support and service when you need it most. To speak with one of our experienced legal professionals about your accident situation, please call us by phone at 803-790-2800 or click the live chat box on this page right now and arrange a free consultation today. What damages can I recover after being hit by a drunk driver? If you have been hurt in an accident caused by a drunk driver, a civil lawsuit is how you and your family start the financial recovery process. Though the driver may have been carried away in handcuffs, the criminal charges will only punish the person who caused the accident in the only way that the criminal justice system knows how: with jail time, fines and fees to the state, loss of driving privileges, and so on. The criminal system will not, however, compensate you and your loved ones for the costs of the accident. A personal injury lawsuit in civil court is how you seek repayment, in the form of legal damages. Here are the types of damage awards frequently seen in DUI cases, and how you can get legal help today. In some cases, the behavior of the defendant was so despicable that the court may decide to award punitive damages. This type of award is rare, and it is designed to not only punish the guilty party, but also to use the guilty party as an example to discourage other people from committing the same offense. If you or your loved one have been seriously hurt by a drunk driver, you have our deepest sympathies. At the Law Office of Kenneth E. Berger, we work hard to help our community by representing those who have been injured in accidents caused by negligence or recklessness, and we are here to help you and your family when you need legal support. Reach out to us by phone, use our contact form to send an email, or click the live chat box on this page to set up a free consultation with us and see how we can help your family begin the recovery process today. What Happens If an Uninsured Driver Injures You in South Carolina? How does a DUI accident case work? After you’ve been hit by a drunk driver, it sets into motion a series of events that can change your life. It’s easy to get lost in the process and be unsure of what happens next or what you should do to protect yourself and your legal rights. Here’s a look at what happens immediately after a crash and the steps that you should take to ensure you’re protected. Immediately after a serious crash, your first priority is to health and safety. Make sure that you and your passengers are okay and contact 911 immediately to get authorities and any medical help needed on the scene as soon as possible. Avoid interacting with the other driver and let the police handle that situation, as there may be an arrest and criminal charges involved if alcohol or drug intoxication is the suspected cause of the wreck. Contact an attorney. Find an experienced personal injury attorney as soon as possible, because you will likely want legal representation. Your attorney can help you negotiate with the insurance company, press a lawsuit to get a fair settlement, or pursue a legal action against the driver if he or she didn’t have insurance. Contact your insurance company. You may need to speak to your insurance company if you’d like to begin a claim on your own policy, if the accident is covered. Your attorney can help you with this contact to make sure your rights are protected. Refer questions to your lawyer. The other driver’s insurance company is going to call you within a day or two of the crash. You do not need to speak to them without your legal representative at hand, so you can politely refer them to your attorney for any questions and end the call. Remember, the other driver’s insurance company is not working on your behalf on this case. Insurance companies do not make money when they pay out claims, so they will attempt to minimize your settlement amount as much as possible, or even deny it outright—even if the accident wasn’t your fault. 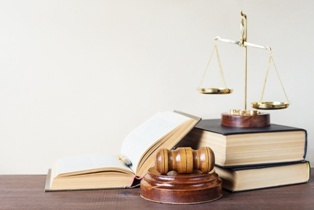 Your attorney can help you ensure that your legal right to compensation is protected. If you have been hurt or someone you love has been killed by a drunk driver, you have our deepest sympathies. The attorneys at the Law Office of Kenneth E. Berger are here to help you and your family begin the process of healing and recovery by ensuring your rights are protected after a serious accident. Call us by phone, use our online contact form, or click the live chat box on this page to arrange a free consultation with an attorney you can trust today. 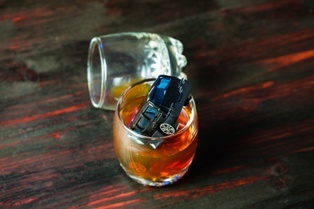 How long do I have to file a DUI accident lawsuit? In the field of law, certain time limits dictate how long a legal action can be brought against someone. This is known as a “statute of limitations” and is a part of the legal system in every state, including South Carolina. The rules change from state to state, as the legislature in each state determines what the rules are. A very few states, like South Carolina, have no statutes of limitation on criminal acts. But every state, including South Carolina, has a statute of limitations for civil claims, such as a personal injury lawsuit or wrongful death claim. The statute of limitations is an important part of the justice system because it serves to protect the rights of the accused. As time passes, most forms of evidence degrade, so a time limit helps ensure that evidence is fresh, and the case can be tried with the most accurate facts that are available. The time limit also helps ensure that potential defendants aren’t faced with the threat of a lawsuit forever. The amount of time that an injured person has to file a civil action varies depending on the type of claim. For a DUI accident personal injury lawsuit, typically the time limit to make a legal claim in South Carolina is three years from the date of the injury. Similarly, surviving family members of those who have been killed have three years from the date of death to make a wrongful death claim in court. Statutes of limitations are complicated and there are exceptions, but once the time limit is over victims are almost never able to recover damages. Even if you’re not sure that you have a case, contacting a personal injury attorney sooner rather than later can ensure that your legal right to pursue compensation in a court of law is protected. If you have been injured or lost a loved one due to a drunk driver, the attorneys at the Law Offices of Kenneth E. Berger are here for you. We believe in protecting the legal rights of those who have been harmed, and we want to help you and your family begin the recovery process today. To talk about your situation with an experienced, caring legal professional, call us by phone, use our contact form to send an email, or click the live chat box on this page now to arrange a free consultation at our office. We can also make arrangements to visit you if mobility is a problem after your accident, so reach out to us today get started. Is the outcome of my civil action against a drunk driver affected by a criminal case? If you have been involved in an accident caused by a drunk driver, the chances are good that you will want to file a civil lawsuit to recover damages. Although the driver was probably arrested and faces criminal DUI and other possible charges, a criminal conviction will not result in any financial recovery for victims. Criminal courts prosecute crimes and punish wrongdoing, while civil court exists as the legal means for victims to receive compensation for injuries. But how will a criminal case affect the outcome of your civil action against a drunk driver? A common misunderstanding about the law is that there cannot be a criminal case and a civil case for the same accident case. This is not true. Criminal and civil courts are entirely separate branches of the law, so a criminal charge doesn’t prevent someone from facing a civil lawsuit. A criminal charge also isn’t necessary to file a civil lawsuit. A conviction is not required, either. You can also file suit against someone who has already been convicted, even if he is in jail already. In fact, due to the separation of the legal and civil court systems, a criminal case is not likely to have much bearing on your civil case at all. While your attorney may be able to obtain a limited amount of helpful information from law enforcement officials on the criminal law side of things—such the results of a blood-alcohol test—the outcome of your civil case is ultimately independent of the criminal case. If you have been injured in an accident caused by a drunk driver, the Law Office of Kenneth E. Berger extends sympathies to you and your family. We are here to help those who have been harmed by negligence or wrongdoing, and we would like to help you start the recovery process today. To speak to an experienced legal professional about your accident, please call us by phone, use our contact form to send an email, or click our live chat box now. Our offices are conveniently located in Columbia, and we proudly serve clients from all over the state of South Carolina, including the Myrtle Beach, Sumter, and Florence areas.